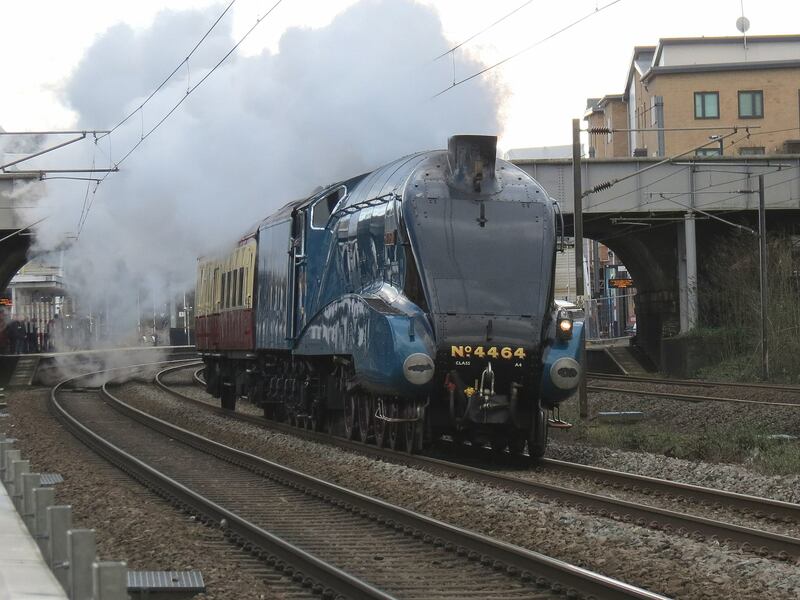 After smashing attendance records at The Great Gathering, the reunion of all six surviving A4 Class Pacific steam locomotives held at the National Railway Museum in York last July, Bittern, Dominion of South Africa, Dominion of Canada, Sir Nigel Gresley, Dwight D. Eisenhower and Mallard, holder of the world land speed record for steam locomotives, will come together one last time for The Great Goodbye at the National Railway Museum in Shildon. 2013 was a banner year for the A4s. Mallard reached the record speed of 125.88 miles per hour on July 3rd, 1938. 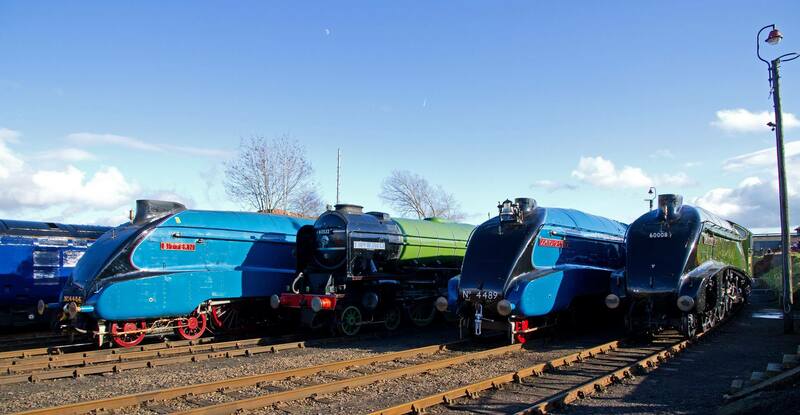 To celebrate the 75th anniversary of the locomotive’s still unmatched accomplishment, the four A4s in museums in the UK were restored and refurbished. The two remaining were shipped back from Montreal, Canada, and Green Bay, Wisconsin, in an immensely complex operation, giving train lovers a chance to see the six A4s refurbished to original condition and all together for the first time. The six were on display together at The Great Gathering in York from July 3rd to July 17th before splitting up for events around the country. They regrouped at York on October 26th for The Autumn Great Gathering where, among other events, students from York College bathed the A4s in beautiful colored lights for the Locos in a Different Light display. There are some beautiful pictures of the A4s looking even more like works of art than they do just being themselves in this Flickr album. 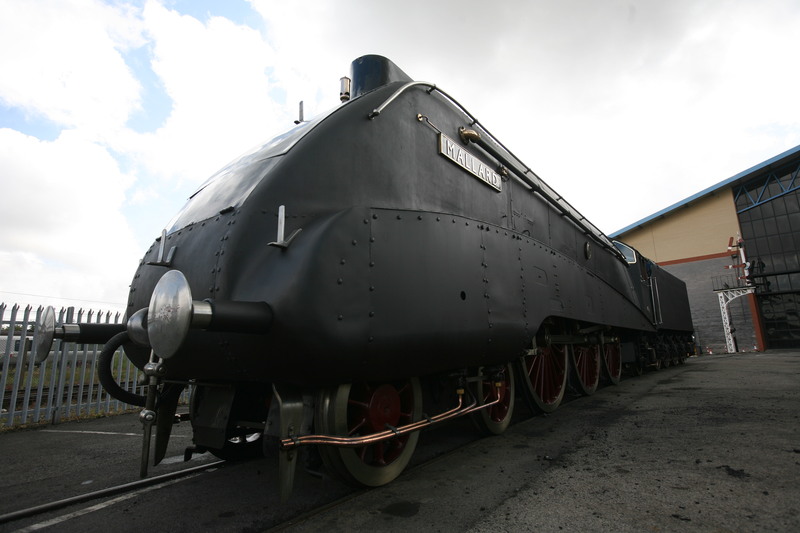 Also not to be missed are this National Railway Museum blog entry about the Heritage Painting team that restored Mallard — I love the picture of it in its somber matte black war time livery — and this entry summarizing the highlights of Mallard‘s 75 years. The year of the A4s is coming to a close now, sadly. The Great Goodbye opens Saturday, February 15th and lasts just a week, closing on Sunday, February 23th. Exhibit hours are 9:30AM and 5:00PM and admission is free. 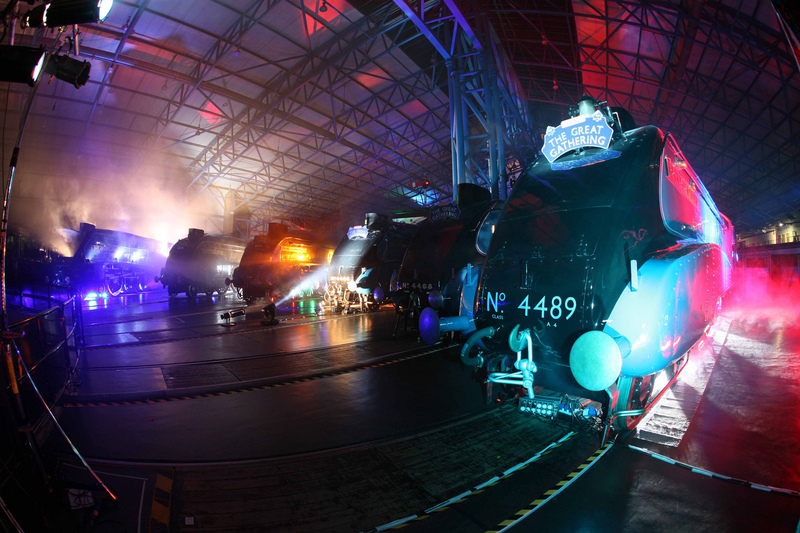 If it’s anything like the other Great Gathering events, crowds will flock to see the locomotives so expect lines. All the special photography events and four of seven curator talks are already sold out, but there are still tickets available for the formal Gala Dinner on February 21st (book online here). There are no firm dates yet because it will depend on weather conditions, a very tricky proposition right now in England which is suffering from horrendous floods, but some time this Spring or Summer, Dominion of Canada will return to the Canadian Railway Museum, in Saint-Constant, a suburb of Montreal, and Dwight D. Eisenhower will return to the National Railroad Museum in Green Bay. The chances of them ever crossing the Atlantic again are slim to none. This entry was posted on Friday, February 14th, 2014 at 11:33 PM	and is filed under Modern(ish), Museums. You can follow any responses to this entry through the RSS 2.0 feed. You can skip to the end and leave a response. Pinging is currently not allowed.